I am a simple man when it comes to my beverages. I take my coffee black, my cocktails cold and, above all, my spirits neat. I was taught from a young age by my Scotch-sipping mother that this fluid was to be enjoyed straight up, or not at all. My whole Scotch experience has proceeded immensely smoothly following my Mom’s advice. Yet, is there an exception to her golden rule? 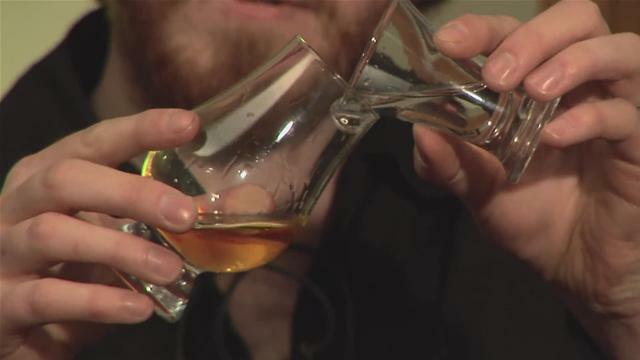 Is there ever an occasion to add some water (or God forbid ice) to your Scotch? Many Scotch enthusiasts swear that adding a couple of drops of water or a single ice cube to their Scotch helps release the bouquet, allowing for individual characteristics to be brought out that would otherwise be overpowered by the alcohol and primary flavours in a stiff dram. 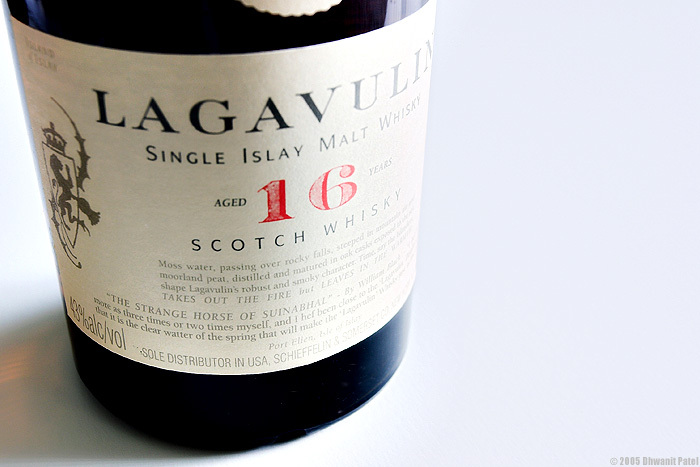 One such example is the 16 year old from Islay Scotland, Lagavulin. When I first tried the Lagavulin 16, it was at a restaurant to celebrate my new job. I ordered the drink neat, and the waiter asked “are you sure you wouldn’t like some water with it?” to which I (barely containing a scoff) replied in the negative. When he returned with my beverage, it smelled like he was carrying a lit cigar, the aroma of smoke was so strong from the Scotch. He set it down in front of me and my eyes nearly started watering. I was sure the smoke alarm was going to go off. The island of Islay is notorious not just because it produces Scotch, but because of the unique characterisitcs that its Scotch possesses. This tiny island is home to numerous peat bogs, and this peat characteristic comes in strongly on most of the Scotches produced there. For instance, Lagavulin is subject to roughly 20 times the exposure to peat smoke as Cragganmore*, which gives it the powerful smoky earthy aroma. I drank my Lagavulin neat; but I lost something. It’s an award winning Scotch, and all I was able to muster was the fortitude to sip it, without doing it proper justice. Sure, I liked the smoke. Yes, the pleasant saltiness and earth was appreciated. Yet, any of its intricacies were masked by its pungency. Had I opted to dilute it, perhaps I would have enjoyed Lagavulin more, and taken more from the experience. Does this mean you should stop taking Scotch neat? Not at all. My staple simple and sweet Scotch is Glenmorangie 10*, which is so mild that diluting it further would be a crime. However, with most Islay Scotches, its a safe bet that you’re in for some dense peatiness which may overwhelm the palate and could benefit from a minor dilution. At the end of the day, it’s up to you to decide which Scotches merit water and which you should take neat. Regardless of how you drink it, just remember to sip it slow. *The links redirect to my ‘Scotch Tasting in Chicago’ post which reviews the linked Scotches for those interested.